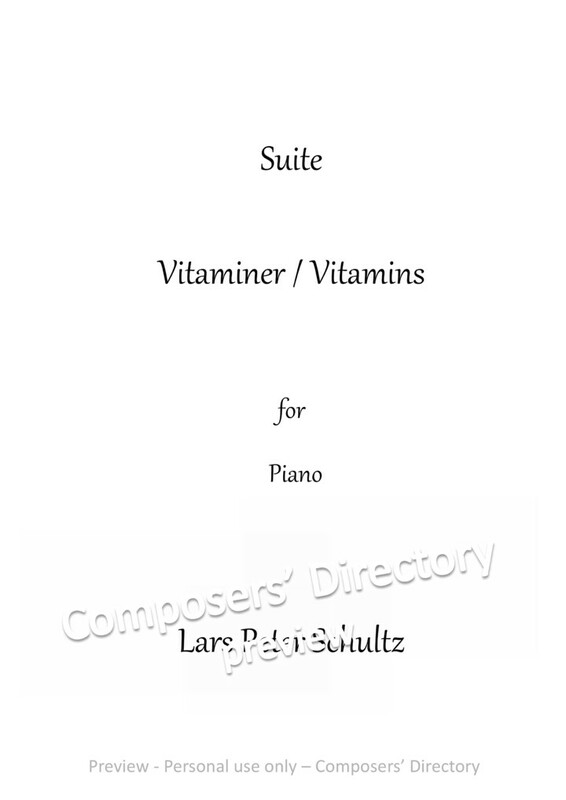 The inspiration for these pieces comes from piano pupils who can play the piano to some degree, and who can read the basic note values, but need a boost in their ability to read which tones to play when they see the notes in a staff. The pieces strengthen the pupil's knowledge and familiarity with the seven basic notes A to G in several octaves in both hands. Alle stykker dansk engelsk titel. 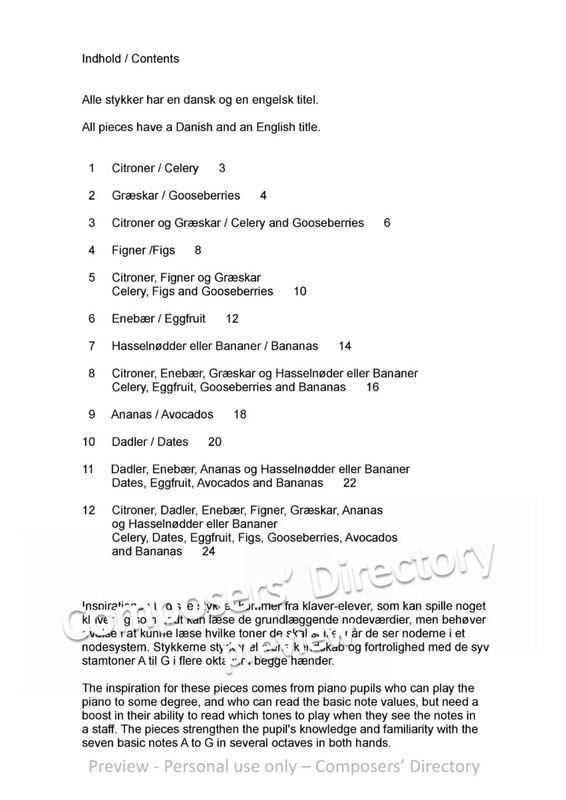 All pieces have Danish English title. Inspirationen disse stykker kommer klaver-elever, spille nogetklaver godt læse grundlæggende nodeværdier, behøverøvelse kunne læse hvilke toner skal spille, når noderne etnodesystem. Stykkerne styrker elevens kendskab fortrolighed syvstamtoner flere oktaver begge hænder. 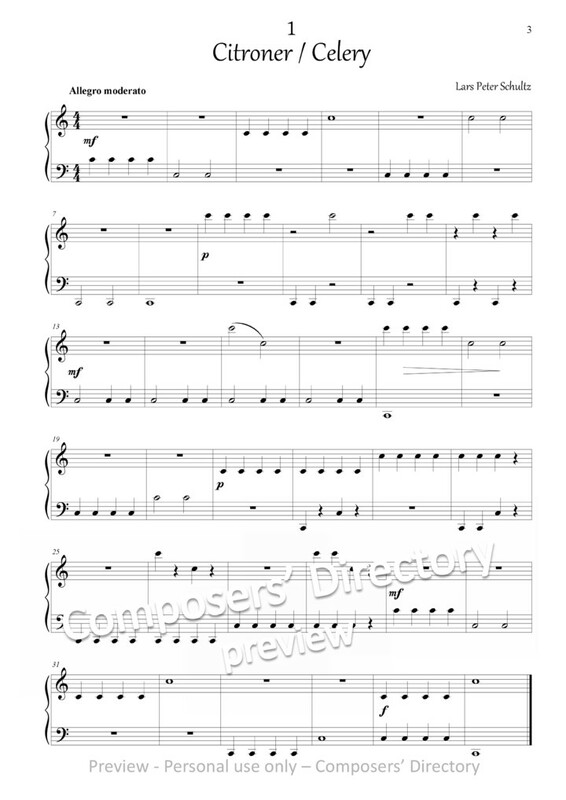 The inspiration these pieces comes from piano pupils play thepiano some degree, read basic note values, need aboost their ability read which tones play when they notes staff. 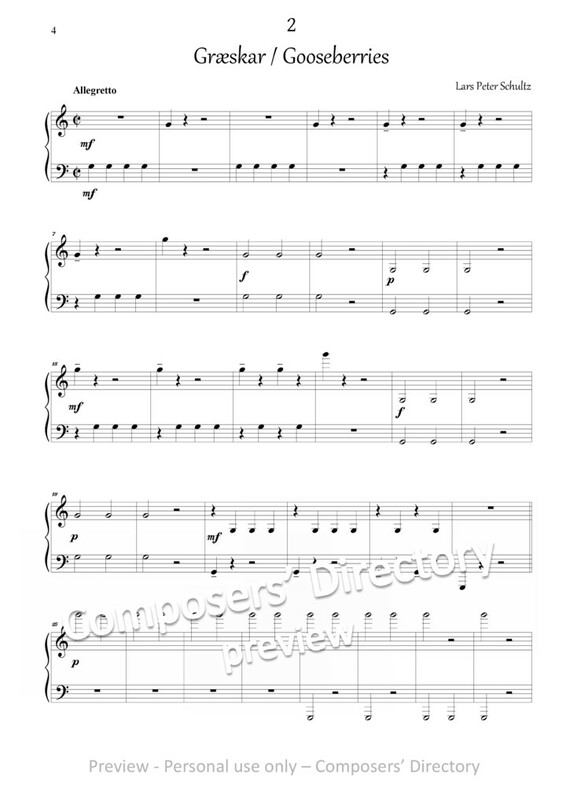 pieces strengthen pupil's knowledge familiarity with theseven basic notes several octaves both hands.